Tooth decay effects most people at least once in their life. 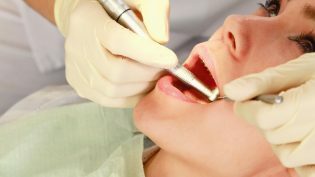 One of the most common treatments for tooth decay are fillings. People have been getting fillings for nearly 150 years and as technology progresses, they become more beneficial to maintaining our oral health. At Classic Dental Smiles, we specialize in dental fillings and do them on a regular basis so you can be confident you will receive the best in tooth decay repair at our office. When tooth decay has damaged the enamel of your tooth or has caused an infection in the pulp containing the nerve endings, your dentist will work on the tooth to remove all of the decayed portions. Once all of the infection has been removed, they will fill in the void in your tooth with a filling. The filling is meant to replace the enamel of your tooth and will not only protect it from further decay, but will also make it functional again. Metal Alloy – This type of filling was used most often a few decades ago. It is one of the stronger materials used for fillings and can withstand years of chewing. They usually last the longest of all fillings but have tremendous downside to them. Before the material fails, it is common to see silver fillings causing multiple fractures in teeth, usually resulting in the need for more expensive restorations like a dental crown. The other obvious downside is that the material is silver in color and not esthetic. At Classic Dental Smiles, we would not put this material in our own mouths and therefore, do not offer this as a filling option. Composite Resin – This is currently the most common filling used because it is the most conservative and esthetically appealing option. Composite resins are tooth colored and will blend in naturally with the rest of your teeth and unlike silver fillings, do not require as much tooth structure to be removed when they are placed. They will also bond to the tooth and the material can also be used to fill in cracks and chips. This is the filling material of choice at our office. Ceramic – Ceramic fillings are made of a porcelain material that will also blend in with the color of your tooth and are also more resistance to stains and discoloration. They are stronger than the resins fillings but require more time and expense to make. Definitely a great option, especially for larger cavities where white fillings may not reinforce the tooth as well. Tooth decay can cause major damage to your tooth if left untreated for too long. Fillings are an easy way to stop the pain and sensitivity associated with cavities. If you live in Rancho Bernardo, Poway, Escondido or any surrounding areas and would like more information on fillings or schedule a consultation, please do not hesitate to contact us today!